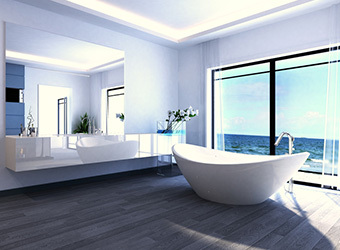 Any bathroom renovation project involves a lot of work, organisation and money. This is why it is essential that you hire the correct people for the job. At All Things Plumbing not only will we provide you with efficient and professional workmanship, we will also help you with selecting the best fixtures and tapware for your budget. And if you need someone to manage the entire project, we can help with that too. Working alongside different tradesmen every day, it doesn’t take long to separate the good from the bad. So only the best tradesmen from builders to tillers and painters are all standing by ready to build you the bathroom of your dreams.